Because of the increasing threat that Zika virus (ZIKV) poses to more sub-tropical area due to increased global travel, there is a need for better understanding of the effect(s) of temperature on the establishment potential of ZIKV within these subtropical, temperate, and/or seasonal Ae. aegypti populations. 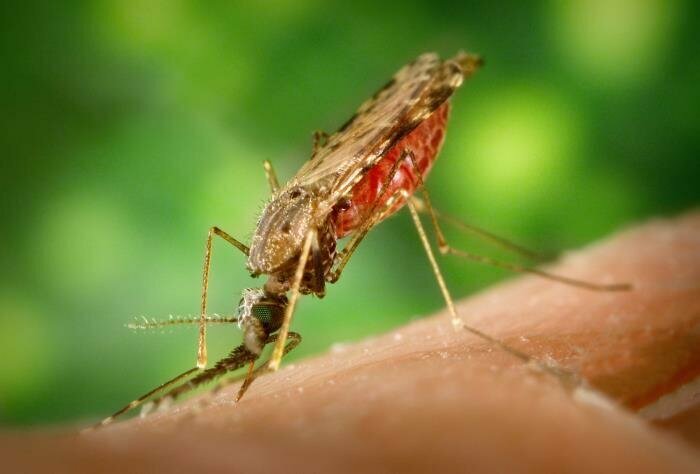 The first step to determining risk establishment of ZIKV in these regions is to assess ZIKV’s ability to infect mosquitoes at less tropical temperatures, and thus be detected through common surveillance programs. To that end, the effect of two rearing temperatures (RT) and extrinsic incubation temperatures (EIT) on infection and dissemination rates was evaluated, as well as the interactions of such. Total, there were four combinations (RT24-EIT24, RT24-EIT28, RT28-EIT24, RT28-EIT28). Further, a stochastic SEIR framework was adapted to determine whether observed data could lead to differential success of establishment of ZIKV in naive mosquito populations. There was no consistent pattern in significant differences found across treatments for either infection or dissemination rates (p>0.05), where only a significant difference was found in infection rates between RT24-EIT24 (44%) and RT28-EIT24 (82.6%). Across all temperature conditions, the model predicted between a 76.4% and 95.4% chance of successful establishment of ZIKV in naive mosquito populations under model assumptions. We further show that excluding the maximum observed infection and dissemination rates likely overestimates the probability of local establishment of ZIKV. These results indicate that 1) there is no straightforward relationship between RT, EIT, and infection/dissemination rates, 2) in more temperate climates, ZIKV may still have the ability to establish in populations of Aedes aegypti, 3) despite an overall lack of significant differences in infection/dissemination rates, temperature may still alter the kinetics of ZIKV within the mosquito enough to affect the likelihood of infection establishment and detection within the context of mosquito surveillance programs, and 4) both the temporal and magnitude qualities of vector competence are necessary for parameterization of within-mosquito virus kinetics.